For the first time in several years, the City of Monroe participated in the Chamber of Commerce's EXPO. By all accounts the traffic was heavy and the food was excellent. Bill Triick, President of the Chamber of Commerce describes the event: "The Chamber of Commerce's EXPO each spring is an excellent opportunity for area businesses to meet face-to-face with over 1000+ buyers, investors, and site selectors in a single afternoon for the purposes of demonstrating products, services, and available facilities that meet their needs plus renewing and strengthening existing professional relations between businesses already connected. One prominent example was the initial attraction of Cincinnati State Community College leading up to the decision to establish their first regional campus in downtown Middletown, a campus that marketing experts believe will result in a daily student body of over 4000 individuals sharpening and improving their skill sets for current and future good paying jobs in the local economy." What did the city expect to get out of the event? "Hopefully, there will be outside businesses that are interested in Monroe and we will promote Monroe’s opportunities while being cognizant of current business relationships in Trenton and Middletown." Said Kevin Chesar. What did the city actually get from the event? "We got what pretty much what we expected. The traffic was good and there was interest in our city," said Jennifer Patterson. 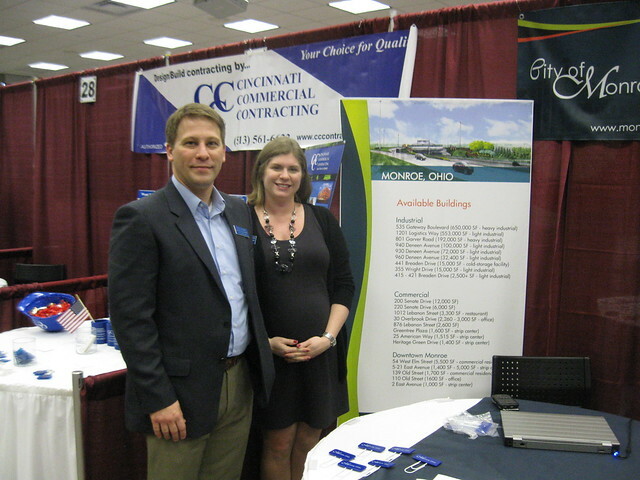 The city did attend previous years chamber of Commerce Business Expo event but this is the first year we had a dedicated booth.